Jatropha biodiesel was produced successfully on 28 April, 2016, with biodiesel production up to 3-5 tons/day in a 5 L of vessel volume (operating space). Compared with traditional batch and flow reactors, the reactor has superior characteristics of small volume, low energy consumption, and high production efficiency. 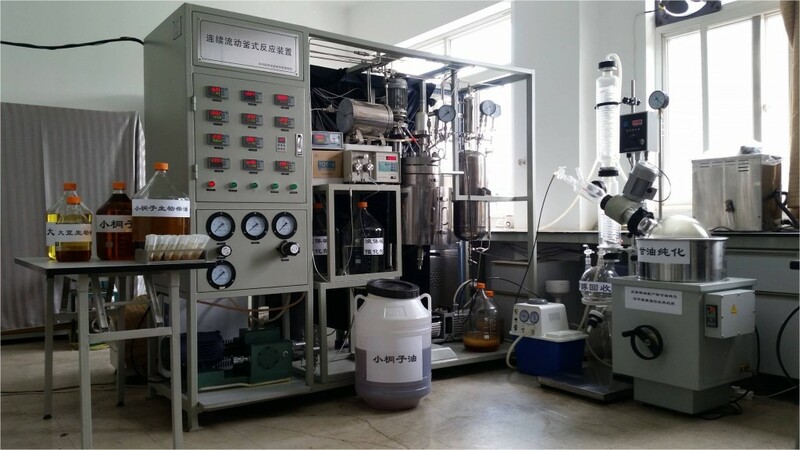 Assisted with magnetic solid base (CN 201410764721.X) and solid acid catalysts prepared by Biomass group, green production of biodiesel was realized successfully with easy separation of catalyst by a magnet for cycles. 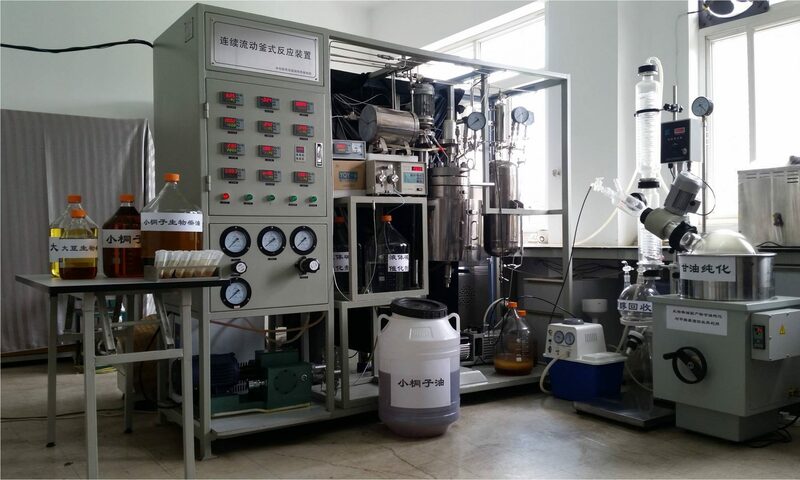 Related results were patented and published in international journals, Fuel, Energy, Applied Energy and Green Chemistry.